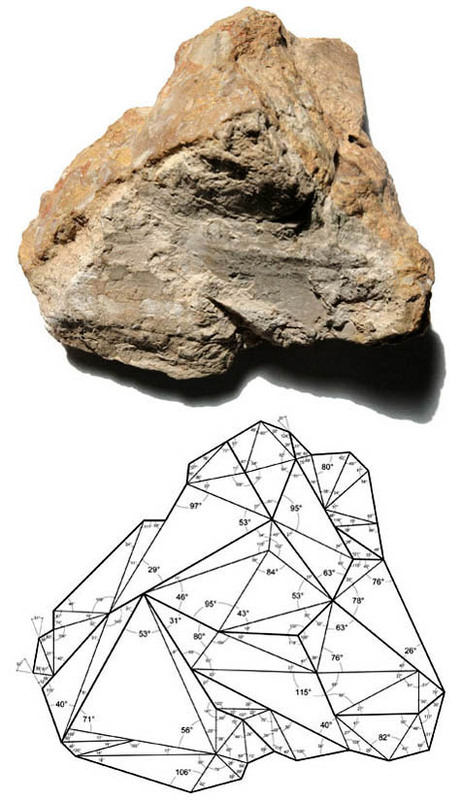 [Image: The geometry of geology, by Vicente Guallart]. If anyone in London happens to attend this lecture at the Architectural Association – beginning in only about an hour and a half – can you let me know how it is? Vicente Guallart – whose work I've discussed both on BLDGBLOG and in lectures over the past few years – is speaking on Geologics: Geography Information Architecture. That is a rather engaging diptych... reminds me a bit of old stereotomy drawings. Wish I could be there for the lecture; hopefully someone transcribes it! I have this idea too, but... let we see. Guallart is a very bad architect and as an human person is so bad: no taste, noisy, unelegant, bad talking etc. All the people that worked for his office hate him. Don't work or go to a lecture for this guy. NEVER! Is the worst office in Barcelona! You are be adviced! what means copy the rocks? or make a metal tree? is this architecture? in disneyland they make the same! I was in the lecture and it was great. After some years of pure formalism someone is trying to think architecture in a new way. so is this think architecture in a new way? ask to Vicente how many centenarian trees give as a present to the curator of MoMa or maybe to the director of AA just for be present? and how much he is talking bad about Alejandro Zaera behind him...just because he is envy and than he is so friend with him...he is just a bad architect that is copying around somebody else! What a simplistic diagram of the surface of the rock. Add some angles to make it look scientific. If we keep using our Cartesian logic to understand the surface of objects we are not rethinking in anyway. Not exactly groundbreaking, no pun intended. I think the role of the architect is changing. This guy is a clear example of the new generation, he is able to succeed in different fields of architecture simultaneously. As an architect making all scale projects, as a publisher editing great books, as director creating an innovative institution. Don´t be so jealous Marcos, i am sure you don´t improve what he is doing in any field.